As we head towards the end of the year, it’s a crucial time on the energy policy front in Europe. Governments in every capital are now writing their National Energy and Climate Plans for 2030. They’ve got to send a first draft to the EU by the end of December. Sweden is the only country to have sent its plan in so far. These National Plans have to detail the new renewables each country plans to build between now and 2030. Plus what they plan to do with their existing renewables that will reach the end of their life between now and then. So they will define the size and shape of the markets you’re operating in for the next decade. Please spread the word that getting these Plans right is vital. Urge governments to include ambitious volumes for new renewables in the Plans and incentives to support repowering and lifetime extensions. Ask for clear visibility on the volumes and timing of wind auctions for at least the next five years and the budget allocated to them. And push for measures that will drive the electrification of transport and heating. These National Plans will serve as investment brochures for the wind industry. We should not be afraid to tell Governments that the wind industry will be investing and creating jobs in countries that have the most ambitious Plans. Once national governments have committed to their wind volumes for the next decade, it will of course be up to us to deliver on these. 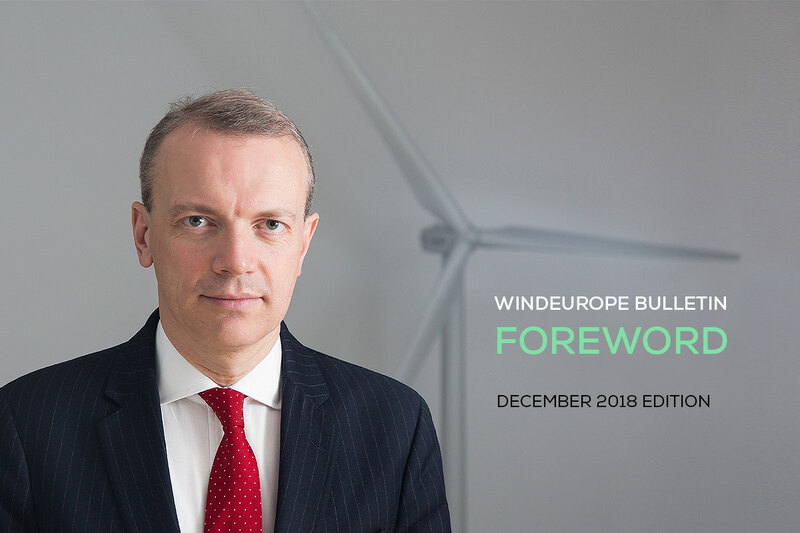 Retaining our technology leadership will be a key part of ensuring a strong European wind industry that can deliver the big volumes we want. To that end we’re organising a free webinar on December 11 on the EU-funding opportunities for Research and Innovation. Do join us for that. Sticking with events, many of you joined us last month for the RE-Source 2018 conference in Amsterdam on corporate renewable Power Purchase Agreements (PPAs). It was an enormous success. More than 800 corporate buyers, renewable energy sellers and policy-makers came together to learn, network and explore possible B2B deals. The conference issued a declaration calling on governments to make it easier to sign PPAs. There’s massive demand among corporates to buy green power and the declaration sends a strong political signal. If you couldn’t make it, check out some of the event highlights. Looking ahead, our annual Conference & Exhibition for 2019 will take place in Bilbao on 2-4 April. It’ll focus on both onshore and offshore wind. You’ll be aware that prospects for wind in Spain are looking bright again. They’re building more than 4 GW of onshore wind by 2020, and the Government then wants to build 2.5 GW wind a year up to 2030. They’re also beginning to look into offshore wind including floating. 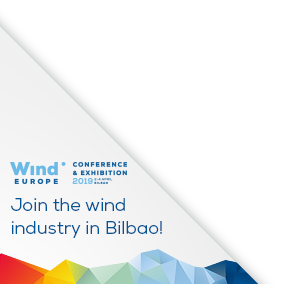 Spain has a vibrant wind supply chain employing 22,000 people, and Bilbao is a key hub for this and a fantastic example of how the wind industry supports local jobs, investment and growth. So it’s a great place for our annual event and a perfect time for us all to be in Spain. Registration will open in the New Year, but put the dates in your diary now. Want to read more and receive our regular newsletters?